The best Dining Guide in New Jersey for restaurants in Princeton and the surrounding area. Princeton caterers and Princeton dining facilities with direct links to our advertisers' websites, menus and directions. BYO restaurants, brunch, sushi, live music, kid friendly restaurants, and more. Dining in Princeton simplified - yum. Chauncey is the perfect place to gather with friends for a meal. Guests can enjoy casual elegance in the Solomon Dining Room as well as the relaxed atmosphere of new Cbar & Lounge. And festive special events- from outdoor barbecues to elegant receptions-are our specialty. The Solomon Room, Chauncey's main dining room, has expansive windows that look onto tranquil views of the lake, lawn and gardens. The Executive Chef uses local artesian products and produce, fresh herbs from his garden located on the grounds (seasonal). The Cbar features casual fare and beverage service in a lively bistro atmosphere overlooking the lake and grounds and has indoor and outdoor (seasonal) seating. Gather with friends in the Cbar and join us for our version of Happy Hour...we call it "Hungry Hour" and enjoy half price appetizers from the bar menu! Offered Monday - Friday 5:00 pm - 7:00 pm. In Latin, “Agricola” means “farmer” which embodies our farm to table spirit and our dedication to community and comfort. There is nothing we enjoy more than gathering old friends and new around a big table and serving up a carefully crafted meal. Using fresh local ingredients from our very own Great Road Farm as well as from other neighboring providers, we serve food that brings people together to laugh, share and celebrate. Making and eating good food makes us happy and we want to share that with you. We invite you to savor all your moments, be they big or small, with us. Every day is an occasion to celebrate, to gather together and to enjoy delicious food. Come join us at our table; lets eat together. Cargot brasserie is a French inspired restaurant designed to be vibrant, while also being familiar and relaxed. Offering breakfast, lunch, dinner and brunch, it combines classic dishes with contemporary interpretations in several distinct dining spaces. Everyday or special occasions will be accommodated in our café room, dining room, private room or outdoor patio. The name Cargot honors the fact that the building was used as the cargo hold for the train station, while playfully referencing the iconic French dish (escargot). The 100-year old stone building was restored and expanded in 2017. McCarter Theatre Center for the Performing Arts is conveniently located across the street. Whether enjoying your morning meal and a paper in the café, meeting an associate for lunch, or joining friends for a celebration or preshow meal, Cargot is a welcoming gathering place for the Princeton community. Fenwick Catering & Events (formerly Main Street Fine Catering) is the go-to source for catering services in Central New Jersey and beyond. Our parent company, Fenwick Hospitality Group, are the trusted professionals behind acclaimed locations Agricola, The Dinky Bar & Kitchen, Cargot Brasserie and Two Sevens Eatery & Cantina, all located in Princeton, NJ. Fenwick Catering will bring the sensibility and flavors from those restaurants to your home, company or location of choice. Using high-quality seasonal ingredients, including from the company's Great Road Farm, allows us to provide innovative, handcrafted food, that sets us apart from the rest. Our experienced team are experts in the latest catering trends and pay attention to the most important details in order to make your event memorable, with cuisine that is unforgettable. The Dinky Bar & Kitchen is a welcoming and simple bar offering locally sourced, ingredient-driven snacks, small plates and more. Whether meeting an old friend for a drink, gathering after work for a few laughs, or grabbing a bite before the theater, the Dinky is a comfortable gathering place where you will enjoy honest fare, good drink and warm hospitality. Inspired by the building's former use as a train station on Princeton's famous "Dinky Line," The Dinky Bar & Kitchen is designed as a comfortable gathering place for solo diners as well as groups. The Brick Farm Market philosophy is simple: offer the best quality, most sustainable food possible. Look for meat and produce from our farm: Double Brook Farm. If we can't raise or grow it ourselves, we source from like-minded vendors in this order: locally, regionally, nationally and worldwide. Come experience our many offerings from prepared foods to juices to cheese classes and our highly popular market dinners. We also offer a variety of house-made products ranging from preserves, spice blends, salsas, sauces and simmering sauces to dog treats, soaps and more - all using ingredients from the farm. There is something for everyone at the Brick Farm Market. The Brick Farm Tavern offers a truly authentic farm-to-table experience in the heart of Hopewell, NJ. Chef Max Hosey has created lunch, dinner and happy hour menus highlighting flavors from our livestock farm, Double Brook Farm, as well as local growers of produce, grains, foraged edibles and NJ-based Local 130 Seafood. The bar is also a reflection of terroir; using ingredients with house made seasonal cocktails, Troon beer and Sourland Mountain Spirits created on premises, and a variety of wines to suit any palate. Whether you are in the bar, the dining room, at the chef's table or having an event in a private room, the renovated 1800s Tavern farmhouse is an inviting venue to celebrate and connect. The Peacock Inn, an iconic Princeton landmark under new ownership, is the only boutique hotel and fine dining restaurant in the heart of downtown Princeton and just walking distance to Princeton University. In operation since 1911, The Peacock Inn is a renovated 18th century colonial mansion with a storied history as a gathering place for great minds, including Albert Einstein and F. Scott Fitzgerald. The fine dining restaurant has an extensive, well-curated wine list and a sparkling champagne bar that received a Zagat rating of 26 for food, ambiance and service, and a Wine Spectator Award of Excellence three years in a row. New menus feature "American mosaic cooking", with fresh, seasonal ingredients including locally-farmed produce and aquaculture. The Peacock Inn Restaurant is open 7 days a week and serves breakfast, lunch and dinner. and daily Afternoon Tea seating's from 2pm - 4pm by reservation. Since first opening in Autumn 2008, elements has garnered the attention of national media and has received critical acclaim from The New York Times, Esquire, New Jersey Monthly, Wine Spectator, among others. Now located in the heart of downtown Princeton above Chef Scott Anderson’s Mistral at 66 Witherspoon Street, elements has evolved, delivering to its guests an incomparable intimate and memorable dining experience offered by no other, interactive and personal dining experience – and the opportunity for Chef Scott Anderson to touch every plate. With just nine tables in the main dining room – all within view of the open kitchen – elements new home provides guests of its new home with heightened, welcoming service – of which New York Magazine’s award-winning Grub Street deemed ‘Michelin-worthy’ – and stimulates all of one’s senses during their not soon to be forgotten delectable culinary journey. elements is open for dinner service Tuesday – Saturday from 5:00 – 9:30 PM. Located in the heart of downtown Princeton, Mistral, with its fast pace and energetic vibe, offers a stunning mix of taste, style and atmosphere. At Mistral, chef de cuisine Ben Nerenhausen consistently turns out inventive cuisine that's intended to be savored and shared amongst friends. He takes lead from the Earth when developing Mistral's menu, expressing seasonal ingredients in fresh and inventive ways and executes dishes that are as visually inviting as they are delicious. In Spring 2015, New York Magazine's "Grub Street" included Mistral in its piece "103 Beautiful Dishes: The Most Visually Exciting Food in America Right Now," which showcased the 'splendor' and 'eye-popping precision' dispatched by the team. In May 2015, Mistral expanded its offering to include a full service bar, with a diverse offering of craft beers, wines and cocktails masterminded by the restaurant's lead mixologist, Jamie Dodge. Emily's Cafe and Catering specializes in full service, fine catering for all occasions, and is the exclusive Mountain Lakes House Caterer. Inquire with the Emily's Catering Team about unique local wedding venues, private in home parties, and corporate lunches or cocktail receptions. Chef/Owner and Culinary Institute of America graduate James Matticoli offers a wide variety of menus that change seasonally and often feature local organic produce. The full spectrum of menus are online at emilyscafe.com. Emily's services clients with all-inclusive event planning, a detail oriented, personal approach to menu design and party set up. Professional, experienced catering staff, deliciously memorable food and creative presentation create events to buzz about! Located on North Main St. in Pennington, the cafe offers a casual, bistro style menu that includes two soups daily, quiche, salad, panini on house made focaccia bread and much more! Private Parties welcome. Osteria Procaccini uses authentic Italian tradition, using the freshest organic ingredients available, and the time honored method of terra cotta oven cooking. We are bringing something different to Historically registered villages around New Jersey--Artisanal pizzas, salads and specialty dishes made with quality hand-selected ingredients, prepared with a passion for excellence that we know you will appreciate. No artificial preservatives, or additives, just good old fashioned, traditionally prepared, Italian food with love. Done in a sustainable way, just as it should be. Now 4 locations to serve you: Kingston, 7 Tree Farm Road, Pennington, NJ 08534 609-303-0625, and 2 Crosswicks Chesterfield Road, Crosswicks, NJ 08515 609-291-5525, and Ocean Grove, 50 Main Avenue, 07756. Porta Via has been a popular caterer in the Princeton area and offers catering using all-natural ingredients for Italian sandwiches, organic salads and specialties. Order from our Princeton catering company to offer delicious food crafted with all-natural ingredients for guests at your next meeting, bridal party, baby shower, wedding, a birthday party, a corporate event or get together. Porta Via specializes in creating menu items that are natural and organic, while tailoring to client needs and desires across the state of New Jersey. We proudly offer ALL NATURAL Italian Sandwiches, ORGANIC Salads and Specialties AND NOW OUR “OSTERIA” PIZZA… in a casual environment for a quick spuntino (meal) on the go! Now offering delivery as well! Gretalia Hospitality Group announces our newest venture by popular demand - Trattoria Procaccini - an authentic Italian trattoria: a wider selection than an osteria, but not as formal as a ristorante. A menu with perennial favorites like our Mamma’s meatballs, healthful but flavorful chicken dishes and the freshest salads - a “Natural Italian Kitchen” with farm-to-table offerings so you know your family is getting food that is safe and delicious. A friendly place you can eat any day or night of the week and also use for special events and date nights. Gather the whole family! PJ’s Pancake House in Kingston is more than just a full service breakfast/lunch/dinner spot. Our Kingston location also is the home of our fabulous bakery - a must see & taste experience for incredible artisan breads, pastries, cakes, and cookies. If you need to chill out - we also serve a delicious selection of gelato. In a hurry? Our bakery caters to the grab and go lifestyle! Hours of operation are every day 7am - 9pm. A landmark and a legend, The Alchemist & Barrister Restaurant & Pub is often called the "Cheers of Princeton." Conveniently set in an historic building at 28 Witherspoon Street in the heart of Princeton, the "A&B" is the favorite gathering place for residents and visitors in search of an authentic Princeton experience, plus good food, drink, and fellowship. Students, faculty, executives, university alumni, shoppers, theatergoers, and travelers all find a welcome at this convivial spot. The international menu spans American, Italian, Mexican, Irish and Asian dishes. Enjoy a hearty sandwich or bar snack, a complete dinner or what's rightly known as "the best burger in town." The Alchemist & Barrister offers a full bar featuring 40 beers on tap along with well-priced wines and specialty cocktails! Small bites, big smiles. Local Greek, located in Princeton, NJ, is a place to gather with family, friends and neighbors to share in local and simple dishes, mouth-watering flavors, and a new-old tradition. Sit down and enjoy Local Greek’s authentic tapas, decadent pastries and some of their imported specialty goods straight from the isles of Greece. With an array of communal tables, you are welcome to take a seat with your neighbors and enjoy the comfort of each other’s company. We also offer catering for those looking to add a little flare to their party. Local Greek is open for breakfast, lunch, and dinner every day. From delicious Greek style breakfasts, to sweet and savory pastries, Local Greek has exactly what you are looking for. Elegance. History. Nature. Charm. But most importantly, the opportunity to savor the genuine satisfaction of fresh and flavorful food – including our celebrated grass fed beef. Once tasted – never forgotten. We’re on Route 27, five minutes east of Nassau Hall (in downtown Princeton). We tap vineyards from around the world and the farmlands of Jersey, Pennsylvania and New York. “Eat local” defines our cuisine and reminds us of the source of our raw ingredients. By cultivating food providers we directly support many neighbors. Visit us in our rustic setting off the D&R Canal. Walk or even canoe. We’re at the historic Kingston lock ~ about 3 miles from the tow path entrance on Washington Road. Savor fabulous cuisine drawn from 21 countries and cultures surrounding the Mediterranean. From our own fresh baked artisan breads and award winning wine list, to our locally grown, farm fresh produce and grass fed beef...we know how to please Princeton & Company. We're on the Northwestern section of Palmer Square. From our Taverna the Sq. unfolds before your eyes. Locals, legends & new-comers create an atmosphere like no other in town. Mizuki Asian Bistro offers both fresh sushi and contemporary Asian fusion to satisfy all customers from East to West. We are committed to our customers on preparing a wide variety of palatable and creative dishes, staffing a team of talented and professional individuals, and providing a friendly and safe atmosphere to enhance your unforgettable dining experience. Please visit our website at www.mizukibistro.com for hours of operation, menu, pictures, and more. Your casual outing or celebrated events, you are always welcome at Mizuki. We cater and offer private party rooms. We will look forward to see YOU at Mizuki Asian Bistro, home of fresh sushi! Now serving Wine, Beer & Sake! Simple Italian inspired fare in a neighborhood trattoria style atmoshphere in Princeton's Palmer Square. Fresh, local ingredients, seasonal pasta dishes, pizzette and a predominantly regional Italian wine list. We offer over 40 varieties of delicious home made soups, salads and sandwiches, frankfurters and real fruit smoothies, Belgium fries and more ! 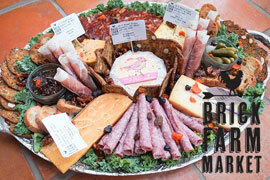 We use all Boars head meats and cheeses and only the freshest and finest ingredients from local suppliers. Vegetarian and Gluten free option daily! Sunday-Thursday 8 am-10pm and Friday and Saturday 8 am-11pm. Catering and local delivery available! QDOBA Mexican Eats is a Mexican fast casual concept and caterer offering customizable flavorful food. Our fast casual concept allows you to create your own tacos, burritos, soup options, and carb free options as well. You can even add Queso and Guac for free to any entrée! We are the Flavor Liberators!! Join us !! We are in walking distance of the Main campus at Princeton at 140 Nassau St.
A Princeton Treasure. Our old-world artisan bakery feels like a touch of Paris, We feature handmade breads, baked goods, sweets and organic products. Breads made by our own Boulanger and baked in our stone hearth oven. As 10best-dot-com says: "The quality is impeccable, and folks flock to the place for everything they can make on the premises."